Freesias are loved for their impressive looks and beautifully sweet fragrance. 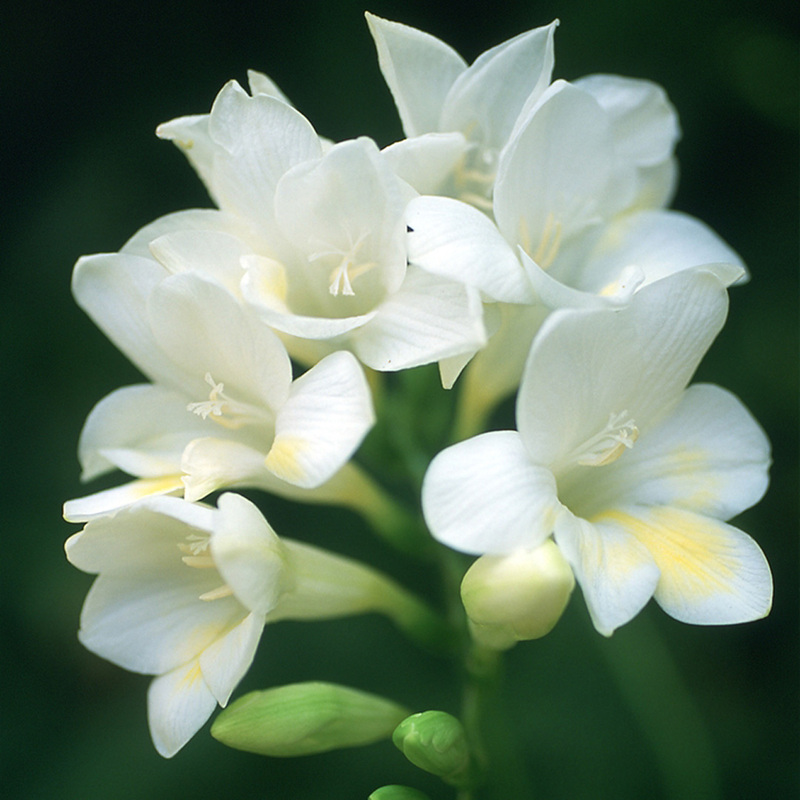 We are as happy to find the scent of Freesia in our gardens as we are in our perfumes, lotions and candles. It is this very quality that brought Freesias to the attention of Christian P Ecklon’s nose when he discovered this fragrant flower in South Africa. He was so taken by this perennial that it was named in honour of his friend FHT Freese, and consequently Freesias are said to symbolise sweetness, friendship and trust. This nose pleasing bloom is a genus of 14 to 16 species of flowering plants in the family Iridaceae, which are all native to Africa. Two dozen of these species come from our very own Cape region. Freesias lay dormant during the hot, dry summers, are nurtured by the cooler weather and ample rains of autumn and winter, and then brought to life to show their beauty in spring. So what is the best way to encourage Freesias to share their sweet fragrances? They are best planted from mid-April to May and you will expect to see these stunning blooms from August to September. Although culture and hardiness are species dependent, most Freesias do prefer slightly acidic, organic-rich soil with ample drainage. Freesias do not require excessive watering; a good rule of thumb is to leave the soil dry for a few days between each watering. At their best in sunny to partly sunny locations, they look delightful grown in masses in the garden. Expect to see spectacular white, red, lilac, yellow and pink elegant funnel-shaped blooms that begin to open from the base and unfold upwards. The flowers appear among the foliage on long spikes. Freesias are beautiful additions to any garden, whether you cluster them in beds or create a colourful display in containers. They can also make gorgeous houseplants and are very popular commercial cut flowers. If you plant the bulbs at intervals then successions of blooms will grace your garden, which will be ideal for cutting. When in the garden admiring your beautiful Freesias, why not embrace their symbolic nature by snipping a few off and giving a thoughtful and fragrant gift to a friend. As with all bulbs, don’t forget the Three F’s: Water your bulbs for Forty minutes, with a sprinkler, every Four days and don’t Forget.